For someone who owns an Android smartphone, I find it quite annoying at the office to constantly switch from my desktop mouse and keyboard to my device to reply to various messages, send data from the mobile phone, etc. Luckily, in the past few years various Windows programs were developed to help users like me to control Android phones directly from computers. There are dozens of utilities that let you access Android phones from PCs, each with its own set of useful features and connectivity modes. Some programs let you control your Android phone directly from the default web browser of your PC while others come with their own interfaces and require minimum user interaction. A good example comes from Vysor that's available as a browser extension as well as a standalone desktop program. Programs like Vysor also come in handy to people who own an Android device with a broken screen and wish to easily handle their smartphone data from a Windows PC. Download the ADB Drivers from this page and install them on your PC. Connect your mobile phone to your PC via USB cable. Make sure the USB Debugging feature is enabled on your Android smartphone to allow connections from your PC. Go to Settings -> Developer Options, enable the option and press the "OK" button. Install the Vysor browser extension from the Chrome Web Store and open the tool. Choose your Android device from the offered list and click the "Select" button. 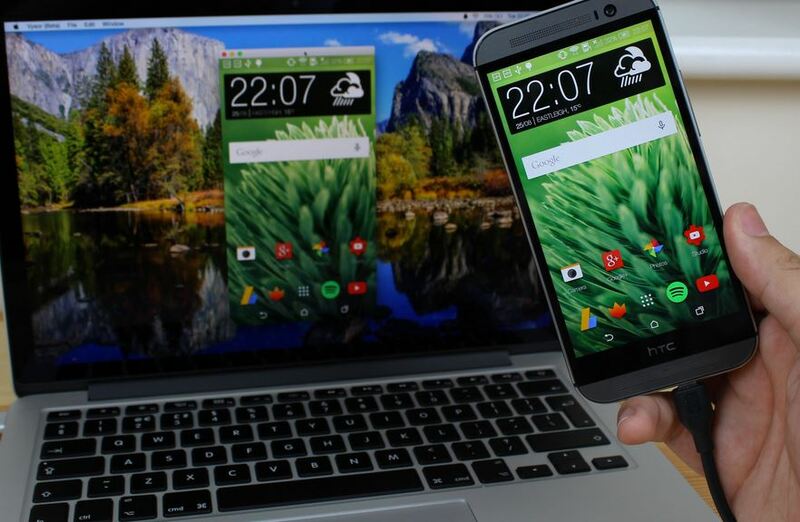 The screen of your Android device will immediately be mirrored over to your PC. You can then start using your mouse and keyboard to control your Android device from your computer. You can send messages, check your photo collection, watch YouTube videos, play Android games, look for useful info over the Internet, and so much more. 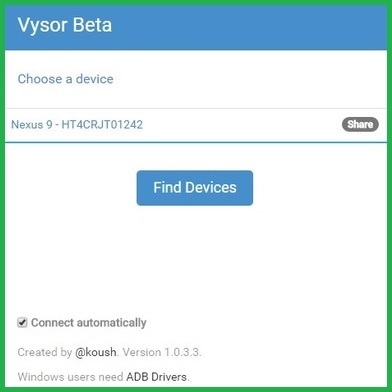 Optional: You can connect your Android smartphone to your PC via USB or wirelessly and control your device data with Vysor. However, wireless mirroring with Vysor comes with a price tag (you need to upgrade the utility to its Pro edition). Even though there are dozens of Android mirroring tools for Windows, I chose to talk about Vysor because it provides you with the largest amount of features and offers you full control over your Android device from your PC. Similar tools yet not as feature-rich as Vysor include AirDroid, Android Control, ASUS PC Link, etc. So, which of these programs would you choose to control your Android smartphone from your Windows computer? Let us know in the comments section below.